Things happen. Avanti Autoglass. we understand that life’s little accidents can cause bigger problems. That’s why we want to assure you that when it comes to safe auto glass repair or replacement, that we’re on your side. In fact, we’re known as the Tri-state premier provider of auto glass services. And that’s a reputation we don’t take lightly. Sometimes small problems are in fact small problems which can be resolved quickly. If your windscreen has a small chip in it we will assess it and determine if it’s repairable. If so we can repair the chip rapidly and send you on your way so this small problem doesn’t take up too much of your time. You can drive away knowing our state of the art work will keep your windscreen intact and prevent further damage. If you do have a chip you should bring the vehicle to us immediately so we can prevent it from growing into a bigger problem, with our repair resin. At Avanti Auto Glass we are known as a premier provider of Auto Glass services, this includes windscreen replacement. Windscreen replacement requires a high amount of precision and attention to detail. At Avanti Auto Glass we pride ourselves on replacing windscreens in an accurate and efficient manner. Windscreen replacement is extensively involved and should be left to professionals. Sometimes an old windscreen just needs to be replaced with a new one. However, even this isn’t a simple and straight forward task. Often new moulds will be required and even other parts such as electronic mirrors, rain sensors, cowls and ADAS safety systems [cameras, lane departure warnings and break assist systems]. Even a simple chip can grow and cause a windscreen to be replaced. Avanti Auto Glass is experienced in the replacement of windshields from a variety of different car brands. We will ensure that we find a windshield that is of high standard and is the perfect fit for your vehicle. 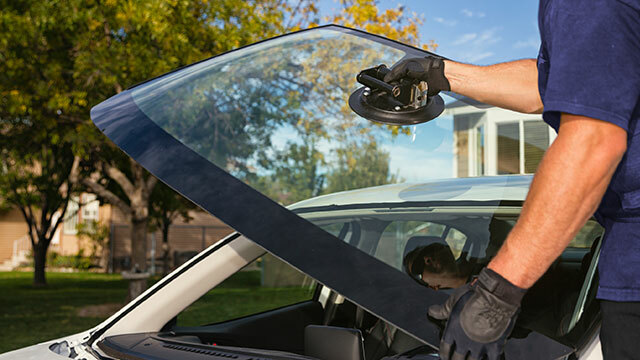 We work efficiently and accurately.In replacing your windscreen we safely remove the seal and old windshield from your glass. Via application of primer and glue we then insert the new windscreen carefully. You can be confident that when we have replaced your windscreen, we have replaced it for life. Side and Rear Window replacement requires precision and accuracy. The entire car door must be disassembled and all shattered glass must be removed. A new side window must be inserted in the door and the door must then be reassembled. There are several mechanisms and parts that can be lost. In addition many car windows are glass and power window motors which require expert training to navigate. The same precision is required with rear windows. Therefore, this process should be left to professionals. We will make sure your door works properly, your rear windscreen functions for life and your interior is good as new. Don’t let just anyone replace your side window, choose the professionals at Avanti Autoglsass. Sometimes when your car is put out of action it’s not just your windscreen that’s damaged, it’s the body of the car also. Whilst we do not conduct smash repairs ourselves, Avanti Auto Glass makes the smash repair process rapid and convenient. Our windscreen fitters specialise in the removal and refit of windscreens, side windows and rear screens. This makes panel beating a lot easier and ensures that customers receive their car back in no time. Our windscreen fitters are trained in the replacement of a large variety of large vehicles: namely truck and bus screens. A damaged truck windscreen can delay your deliveries and incur a significant cost. In a similar manner taking a bus off the road can significantly delay transport. At Avanti Auto Glass we understand the urgency required in replacing the windscreens of large vehicles. We respond as rapidly as possible to your needs and replace both truck and bus screens with accuracy and in accordance with national guidelines. At Avanti Auto Glass we will make sure your vehicle isn’t taken off the road again by a broken windscreen. At Avanti Auto Glass we understand that accidents can occur in many vehicles, particularly heavy machinery. Our windscreen fitters can replace glass on several heavy machines such as: . We will ensure that your vital machine is ready to go in no time and has glass intact for as long as you require the machine.